Found 17 file extension associations related to Descent 2 and 13 file formats developed specifically for use with Descent 2. Descent 2 is a brilliant game from the minds of Interplay. It, like its predecessor, Descent combines flight sim gaming with first person shooting. Descent 2 continues the story of the alien virus that infected the mines in the earth solar system by sending you to work outside of the solar system. New worlds are introduced each one cleverly designed. New weapons are added, the bosses and enemies are tough. This game will provide hours of magnificent gaming. At times, the levels can be frustrating as you fly in circles but there are plenty of walkthroughs online that can help you out. Descent 2 is one of the best games to come out for the PC. It is addicting, has great graphics, and the storyline is pretty good, considering its simplicity. Gameplay is pretty consistent. You fly your ship through mines acquiring weapons, rescuing hostages, hunting for keys, and then taking out the reactor of each mine. The challenge is finding the exit to the mine and getting out before the reactor blows up. You will repeat this or a few levels and will find a boss. The boss fights are touch and challenging. Each level includes a guide-bot to help you find those energy rooms, weapons, keys, etc. Thus making your life a whole lot easier as you strive to work your way through the depths of the mines. Each world also includes a warp to a secret level where you can gain more ammo, weapons, and kill a lot more baddies. Overall, I give it a 5/5 stars. Descent 2 is a classic game that showcases great level design, great action and gameplay, brilliant graphics, and even Multi-player support. I have never played with the multiplayer mode, but having read the strategy guide, it outlines several cool features including markers as spy-cams. 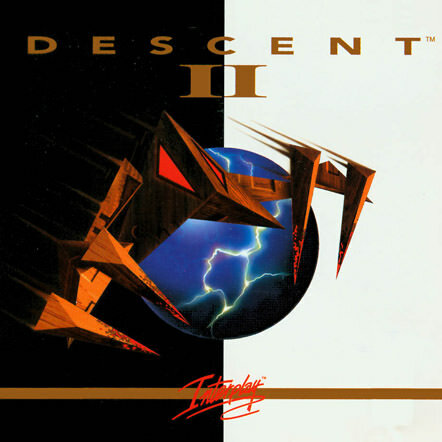 If you need more information please contact the developers of Descent 2 (Interplay Entertainment Corporation), or check out their product website.